It seems that everyone imitates someone. We all have people who heavily influence us, people we look up to, people we want to be more like. These are usually those people that we see as having it together. If we could be more like them, than we could have it together, too. So we learn what we can from them, and we try to be more like them. We imitate them in the little things we do. Often this is an unconscious behavior on our part. Sometimes, it is conscious. Sometimes we think about how they may respond to a particular issue, and that helps guide our response. Many might be thinking that this is a terrible thing. I don't think so, as long as we are imitating someone good. Someone worth imitating. Perhaps a Christian brother or sister that we look up to. Someone more mature. Someone we could learn from. Ultimately, we should be imitators of Christ. The old campaign, all but gone now, WWJD, had the right idea. What would Jesus do? It's a good question. And it helps make sure we are imitating the best possible person. 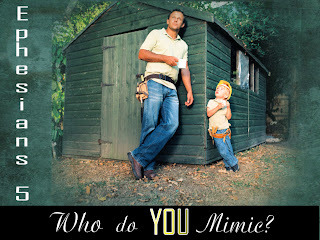 This seems to be Paul's lesson in Ephesians 5:1, "Be imitators of God, therefore, as dearly loved children." So who do you imitate? There is no one better than God. 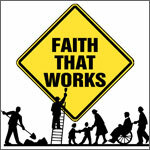 There is an ongoing argument over which is more important in our Christian faith: Faith or Works. There always seems to be a tension between the two. In these two verses, Paul gives us the proper relationship between these two. First, we are saved by faith, not by works. It is the gift of God, and not by anything we do. However, why are we saved? The answer, according to verse 10, is that we are saved to do good works. God has things for us to do, he expects us to worship Him, to serve others in His name, to do good to everyone we meet, to share the reason for the hope we have in Christ Jesus, to spread the good news of the gospel. My favorite verse on the importance of works is James 2:14, "What good is it, my brothers, if a man claims to have faith but has no deeds [works]. Can such a faith save him?" He goes on to explain that in the verses that follow. My paraphrase of his explanation is that a faith that isn't strong enough to motivate us to do good things for others, isn't strong enough to save us. These “works” don’t save us. But we better be doing them, because that’s why we were saved! What do you think? Feel free to leave me your comments. The message on Sunday, January 20, looked at spiritual gifts. 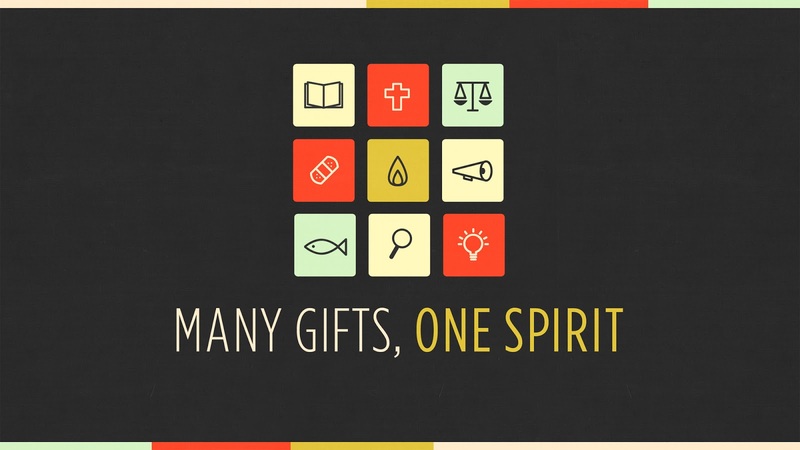 We used 1 Corinthians 12:12-31 as our starting point to see what spiritual gifts really are. We looked at why God gives us the different gifts that He does, why does He equip us the way that He does? And the short answer is, because He has work for us to do that requires the specific skill set we possess. Ephesians 2:10 says, "For we are God’s workmanship, created in Christ Jesus to do good works, which God prepared in advance for us to do." He knew what those works were when he formed us in our mother's womb (Psalm 139:13), and He made us just the way we are, knowing what those works were. In other words, He made us to do certain things, and formed us with the unique skill set we have, so we would be equipped to do them. 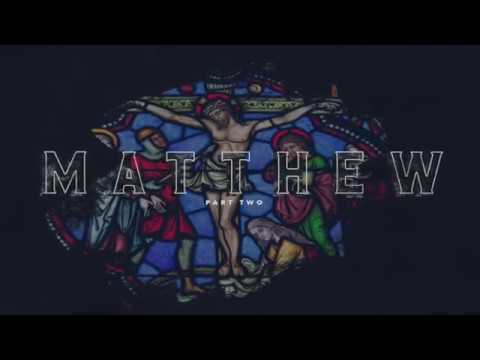 What does that mean for the church? Specifically it means that if you aren't active, you are available to do the part God created you to do, and the whole church suffers as a result. Not only that, but the churches ministry in the community suffers, because your part isn't being done. So prayerfully consider what God has prepared for you to do. And joyfully serve Him as you do your part. To read the entire message, or to listen to an audio recording, click here.